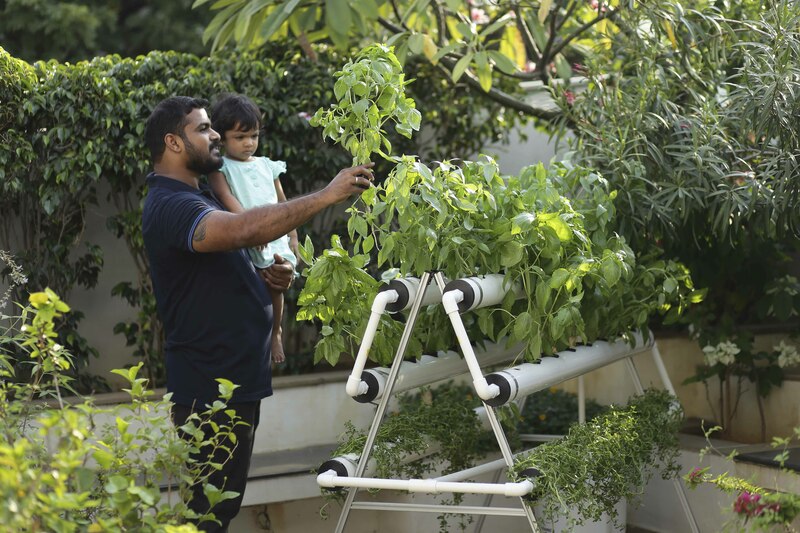 Have you ever wanted to grow your own vegetables or herbs at home but were unable to do so for lack of space? If so, hydroponic farming at home could be the answer you’ve been looking for! Hydroponics is easy to get started at home! In fact, there are actually multiple variations of different types of systems for hydroponic farming at home! Hydroponic farming at home is better because you’re feeding the plants a nutrient-rich water solution instead of planting them in the soil. The only difference between each system type is HOW they deliver the water, oxygen, and nutrients that you’re feeding the plants. One of the other big reasons hydroponics has become so popular is because recent studies on commercial hydroponic farming have shown it to have many benefits. Plants grown hydroponically are of exceedingly high quality, occupy less space, and consume fewer resources than traditional growing methods. Additionally, hydroponic growing methods, in combination with vertical gardening, have aided in expanding the possibilities of urban gardening and indoor gardening. Although the amount of hydroponically grown produce has not overtaken the amount of field-grown produce yet, it is quickly gaining a foothold. This is especially true as more and more consumers are becoming aware of where their food comes from and how it’s grown, as evident in the local growing movement. Commercial hydroponics farms are most profitable in areas with drought conditions and/or infertile land. Do not set up shop in a rural area where tomato, cucumber and lettuce farms prosper. The most successful hydroponic commercial operations stick to just a few popular and highly profitable crops (notably tomatoes, exotic herbs and lettuce). Hydroponics today is a niche food industry, driven by consumer demand, commonly in upscale (urban) food markets. The demand for hydroponic vegetables has risen dramatically in those markets. Do your homework by experimenting with different hobby-sized hydroponic systems until you thoroughly understand the process. You must have success with small gardens before you ever consider going commercial. Plan and implement methods to reap the highest possible yields in the smallest amount of space; either grow up in the air as high as possible, or low-growing crops densely spaced. Both must be continuously harvested and replanted. If you don’t have a love of farming and a passion for hydroponics, do not set up a commercial system. As with any new business, you must have the entrepreneurial spirit, determination to overcome all obstacles and a clear vision (business plan) if you hope to succeed. Also, do note that Commercial hydroponic farming requires an enormous amount of work.